Nutrition: Choose the Right Fuels! - You CAN Go the Distance! Nutrition: Choose the Right Fuels! 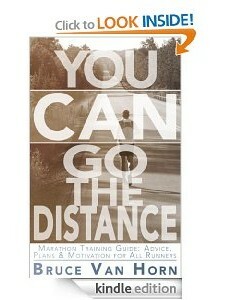 I have mentioned in other chapters various nutrition and hydration tips that I have found helpful. However, since I really do want this book to be as helpful and informative as I can make it, I really needed to include a complete chapter on proper nutrition and how important it is to every runner. The problem with me giving you nutritional advice is that it is just not my area of expertise. The other problem is that most of my friends and family would roll on the floor laughing if they knew I was giving you nutritional advice! So, to save me from embarrassment, and to get you the best advice possible, I asked fellow runner, Holistic Health Coach, and nutrition expert, Adina Kelman, if she would be willing to write this chapter for me. Adina graciously accepted my request and we are all much better off because of it. What follows is great advice from someone who, as you will quickly see, knows what she is talking about! Running is my passion and my personal excuse for making my health a priority. It allows me to focus on me, my diet, my sleep, and my overall health. If I eat less nutrient dense foods, my running suffers. If I skimp on sleep too many nights in a row, my following runs are slow and sluggish. If I do not run and I do not create that sacred time which is just for me alone, I am, let’s just say, a less than charitable wife and mother. Health and wellness, which includes proper nutrition, can have a profound effect on your running. It is, however, a commitment that begins well before race day. I encourage both new and seasoned runners to educate themselves, independently or with the help of a trained professional, on the benefits of a diet rich in nutrient dense foods. That being said, you have courageously committed to running a marathon and if you have not already done so, it is time to establish some basic, healthy eating habits. 1. Eat when you are hungry and listen to your body. This sounds simple, but it is advice often overlooked. Estimating calories burned during a run or cross-training workout, whether done by you or your Nike iPod coach, is usually inaccurate as well as ineffective. I personally do not like counting calories or carbs and I try to avoid addition and subtraction in general. I listen to my body, to the demands it makes after a run, and I satisfy those demands with clean, unprocessed foods. Become attuned to your body just as you do when you are running. Pay attention to cravings—your body is telling you what it needs. That doesn’t mean that a sweet craving is license to down a couple of donuts just as a hankering for salt doesn’t mean you should eat a bag of potato chips. Search for the healthier alternative that will satisfy you. Respect your body and what it is asking for and satisfy your appetite with real food. 2. Eat lots of fresh vegetables and fruits. Loaded with antioxidant vitamins, minerals, and micronutrients, fruits and vegetables should be a large part of a healthy diet. Eat as many vegetables, and to a slightly lesser extent, fruits, as you wish. Aim to include some form of fresh produce at every meal. At breakfast, include berries. If you are having a sandwich for lunch, throw some avocado, sprouts, or sun-dried tomatoes onto it. At dinner, aim to ﬁll half your plate with vegetables. Try to include as many colors as you can. This is an easy way to insure that you are benefiting from all the many vitamins, minerals, and micronutrients found in vegetables. 3. Include some form of protein with each meal. Every cell in the human body contains protein. It is a major part of the skin, muscles, organs, and glands. Protein is also found in all body fluids, except bile and, in general, urine. The amino acids that make up a protein molecule aid in muscular growth and repair. The current dietary reference intake (DRI) for protein for individuals over 18 years of age, regardless of physical activity, is 0.8 grams per kilogram of body weight per day. Divide your current weight by 2.2 (this converts pounds to kilograms) and multiply by .8 to get the recommended amount of protein. (i.e., a 100 pound person weighs about 45 kilograms. 45 x 0.8 = 36 grams of protein). Guidelines for protein intake increase as you factor your endurance program, strength training, and recovery into your routine. As I said before, I avoid math and formulas when I can. I have never calculated my protein intake and I do not plan to ever include this as part of my daily routine. Instead, aim to eat a serving size approximate to the palm of your hand for your main meals and less if you are having a snack. It is that simple. 4. Enjoy good quality fats. Primarily a form of energy reserves and insulation in the body, fats can be burned to make energy when we are not getting enough from our diet. Fats are important in transporting nutrients, such as vitamins A, D, E, and K. I rely on good quality olive oil, nuts, seeds, and avocado as my primary source of fat as well as the occasional use of coconut oil. The Academy of Nutrition and Dietetics Position Paper on Nutrition and Athletic Performance recommends athletes get 20 to 35 percent of their total energy intake from fat. This provides enough fat to replenish post training fuel stores while allowing room for adequate carbohydrates and protein consumption. Again, I do not adhere to these percentages, but instead eat what I am in the mood for which varies day to day. If weight is not an issue, I would encourage you to do the same. Becoming attuned to the needs of your body is an invaluable tool that will serve you well as the demands of training fluctuate from day to day. 5. Eat whole grains. This does not mean cereal in a box. There are a variety of grains available to you. Experiment. Try quinoa, millet, amaranth. Choose brown rice over white. Whole grains are complex carbohydrates that provide steady energy and serve as a source of vitamins, minerals, fiber and protein. The recommended dietary allowance for carbohydrates is 130 grams per day. The amount of recommended carbohydrates varies so significantly from one individual to the next and from one dietary theory to the other, that I think the more important focus should be on the quality of the carbohydrate rather than the quantity. The goal is to incorporate, as much as possible, whole grains that have not been stripped, processed, or pulverized into a ﬂour. The more intact the grain, the better. Cacao (raw chocolate) in the form of a powder or nibs. According to David Wolfe, raw foodist, cacao is the number one source of antioxidants ranking higher than blueberries, green tea, and red wine. Rich in magnesium, manganese, chromium, and iron, this super-food improves cardiovascular health and improves overall mood and energy. Bake with it, sprinkle on top of a morning grain, stir into your coffee, or mix into a smoothie. Maca powder contains significant amounts of amino acids, carbohydrates, minerals, and vitamins. In powder form, you can bake with this adaptogenic super-food or add to a smoothie. Gogi Berries, used in traditional Chinese medicine, contains 18 kinds of amino acids, including 8 essential amino acids, a high antioxidant content, trace minerals, iron, and vitamins as well as many other nutrients. Bake with it or add it to your morning cereal or grain. It is less sweet than raisins or dried cranberries and may take a little getting used to. The three power seeds: hemp, chia, and ﬂax. High protein sources and rich in iron, vitamin E, and anti-inflammatory omega-3 fatty acids, these seeds taste great and make a nutritious addition to almost any dish from cereal to salad to any kind of burger. Other super-food options include spirulina, blue green algae, chlorella, wheatgrass, or any of the commercial green super-food powder mixtures, bee pollen, acai berry and camu berry powder, sea vegetables, and medicinal mushrooms. For purposes of this book, I won’t go into the specific benefits of each, but they are worth investigating for overall health and wellness. 7. Keep processed foods to a minimum. Avoid white ﬂour, white sugar, white salt, trans fats, refined, processed foods, and high fructose corn syrup in particular. 8. Make small changes slowly. Changing your eating habits takes patience. It is a process like anything else. Examine what you eat and ﬁnd one or two areas where you can make small improvements that will stick. Go slowly and allow your body to adjust. Meals. Here is where the real fun starts. While rest days are a vital part of any training plan, so too are recovery meals, especially after those long runs. Food tastes great and should be enjoyed, but food serves a functional purpose as well. By manipulating what you eat, you can not only run faster, stronger, and longer, but you can help your body recover sooner. When? Remember the above guideline to eat when you are hungry. Well, here is the exception to that rule. Many scientiﬁc studies show that recovery begins within 30 minutes following prolonged exercise. Eating within 35-60 minutes of your long run will help your body begin to replenish depleted glycogen stores and repair muscle tissue. What? To replace glycogen and repair muscle tissue, choose a mix of simple carbohydrates and protein. Many sources will tell you to choose a mix of carbohydrates and protein in a 3:1 or 4:1(carbohydrates:protein) ratio. Within this ratio, you are supposed to aim for approximately 0.5 grams of carbohydrate per pound of body weight combined with approximately 15-25 grams of protein. What??? Hopefully running will become a lasting part of your life as well as healthy, clean eating. To make this goal a reality, let’s keep it simple. Nobody eats according to burdensome rules, ratios, & formulas, at least, not for long. It is not practical and it is not fun. Hummus and spouted bread, cottage cheese and fruit, Greek yogurt and a handful of trail mix, or almond butter and a banana are all good examples of a recovery snack. Many runners, myself included, do not feel particularly hungry after a long run. If that is the case, a drink that includes protein and carbohydrates is a good choice. For the runner with the sensitive stomach, drinks are not only easier to digest, but offer the hydration that is so crucial after a long training session. Chocolate milk seems to be a favorite among many runners. Compared to plain milk, water, or most sugary sports drinks, it has a 2:1 carbohydrate to protein content along with calcium. I personally avoid chocolate milk and gravitate towards custom made smoothies that are lower in sugar and can be tweaked to my own personal tastes and nutritional needs. In fact, I rely heavily on smoothies during my training and encourage you to do so as well. Smoothies are easy to make. A blender and some simple ingredients are all you need. Liquid base. Begin with your choice of 1 cup coconut water, low fat milk or any milk substitute from store bought soy to homemade cashew milk. My personal preference is a store bought almond milk. Choose unsweetened milk substitutes that do not contain carageenan. Add your fruit. I use 1 frozen banana plus about a cup or handful of frozen berries. I like to use berries for their antioxidant and anti-inflammatory benefits, but any fruit will do. You can use fresh fruit as well, but I prefer frozen as it produces a thicker liquid. Power it up. Add a few of the super foods listed above. My personal favorites are one tablespoon raw cacao powder, one tablespoon ﬂax seed, and one scoop of Amazing Grass green super-food powder or a handful of fresh or frozen dark greens like kale, spinach, beet greens, collards, or chard. You will need to experiment here to make this your own. Also, if you are using a milk with a low protein proﬁle, such as almond milk, add some form of protein here such as Greek yogurt, a whey protein powder, nut butter, or one of the three power seeds. Other options. Depending on your tastes, you may choose to add a fat (if you have not added a nut butter) in the form of coconut oil or avocado or you may choose to sweeten your smoothie with dates, stevia, or one of the many natural sweeteners available to you. You may also want to add vanilla or almond extract depending on what you have already included. Two more important notes about post recovery nutrition. Research shows that the anabolic boost stimulated by a single dose of amino acids is transient and lasts only one to two hours. In other words, do not consume all your protein at once. Be conscious of including protein for muscle recovery and spread it out over the course of your day, particularly the 24 hours following your long run. Continue to incorporate carbohydrates throughout the day with the focus now shifting from simple to complex carbs. To increase your body’s natural healing abilities, include as many anti-inflammatory foods as possible. Vitamin C, a water soluble vitamin and powerful antioxidant, is helpful during and after training when your body is under stress and your immune system is more susceptible. The National Institute of Health (NIH) recommends a daily intake of 90 mg. vitamin C per day for men and 75 mg. per day for women. Dr. Andrew Weil states that for most healthy individuals, the body can only hold and use about 250mg of vitamin C a day, and any excess is lost though urine. At times of illness, during recovery from injury, or under conditions of increased oxidative stress, i.e. training for and running a marathon, the body can use greater amounts. I take 500 mg. per day when training. I feel that this is enough to boost immunity, certainly not enough to cause an imbalance, and easy to take in one tablet. I will briefly mention Vitamin D because many individuals are deficient in this important vitamin which influences the development of your immune cells. Our body doesn’t make vitamin D on its own, but creates the precursor to it, referred to as vitamin D2. When we get ultraviolet exposure, that precursor is made and then converted, by the liver and kidney, to the active form of vitamin D. If you are not getting enough sun exposure from all those training runs (or are wearing sun block) and a blood test shows that you are vitamin D deficient, you will probably need to add a supplement to your regimen. Some runners use additional supplements such as branch chain amino acids (leucine, isoleucine and valine) and L-Glutamine to aid in muscle repair and boost athletic performance. I have never felt the need to use these and cannot vouch for their effectiveness. There are a multitude of herbs and many spices that have anti-inflammatory effects that are essential to speed post workout recovery. Turmeric, chili peppers, basil, cinnamon, and ginger are just a few of the many spices and herbs available to liberally use in your daily cooking regimen. Including these in your diet will enhance the flavor of food, improve overall health, and speed recovery. I specify a recovery regimen following the long run, but it is important to note two things. Any speed training can be as equally grueling as a long run and requires the same post care and attention. Also note that any workout may be more strenuous for a beginning runner than a more experienced, efficient runner. It is important to assess your workout level and be aware of what you are eating throughout the course of any training program. Here, again, there is a lot of advice for drinking the correct amount of ﬂuid to rehydrate. Some say to aim for 16-20 ounces of fluid and continue hydrating with eight or more ounces every half hour for two to six hours. Very precise. Others recommend 2.5 cups of ﬂuid for each pound of body weight lost. And yet others say drink half your body weight in ounces daily. The amount of liquid you consume is contingent on so many different variables that I prefer a more intuitive approach and like the advice of Tim Noakes, M.D., author of Waterlogged: The Serious Problem of over-hydration in Endurance Sports, who relies on the body’s thirst mechanism to signal when and how much to hydrate. I am not underestimating the importance of rehydrating with water or with an electrolyte drink (I use Nuun tablets), but there is a balance that each runner must personally achieve based on their individual biochemistry. You can judge whether your hydration practices are adequate by looking at the color of your urine. If your urine is a pale yellow, you are adequately hydrated. If it is clear, you are drinking too much and if it is dark, you are not drinking enough. Looking at your face and clothes to see if they are coated with grainy, white streaks (as well as paying attention to cravings) is another good way to judge whether you need to replace lost sodium as well. Staying away from dehydrating liquids like coffee and alcohol might also help when trying to rehydrate. Remember, keep it simple and be attuned to what your body is telling you. Before: Pre-race breakfast. This is totally individual and something that needs to be experimented with and established well before race day. The best pre-race breakfast consists mainly of carbohydrates since they are digested most rapidly and are your body’s preferred source of fuel. Small amounts of protein will keep you satisfied longer, but you may want to avoid fat which takes a while to digest. Fiber is your friend but maybe not so much on race day. You may want to limit this to avoid possible bloating and GI problems. Meals that include dairy or a lot of sugar may also irritate some stomachs and lead to diarrhea, otherwise known as “runner’s trots”, so be aware of what you are eating and how you react during your training runs. Sources say that the ideal pre-race breakfast consists of 1.5 to 1.8 grams of carbohydrate per pound of body weight 3 to 4 hours before the race. This is way too many carbs for me to comfortably digest at way too early an hour in the morning. I do not follow this rule nor do the runners that I know. Overloading your system with more carbs and liquid than you can comfortably handle may lead to digestive problems. A general guideline is to have half of your carbohydrate load about two hours before the race and then an easily digestible, high carbohydrate snack about thirty minutes before start time. As a side note, if you reek of ammonia after a long run, your body might be lacking an adequate amount of carbohydrates to fuel your run. When you do not have enough carbs to support a run, your body will burn protein for fuel. It will break down the amino acids that make up protein and convert it into glucose. Within these amino acids is nitrogen. When too much nitrogen is present in your system, your kidneys process the excess. This process creates urea, which is expelled through your urine. However, when there is too much for the kidneys to process, then the excess nitrogen is secreted as ammonia through your sweat. If your sweat smells like ammonia, try to increase your carbohydrates. If this doesn’t do the trick, it might just be that your sweat naturally smells like ammonia, which is a natural by-product of heavy exercise and perspiration. Drinking more water while you exercise might dilute the ammonia and minimize the odor. If neither what you eat nor what you drink has any effect, see your doctor to rule out an electrolyte imbalance or liver or kidney damage. Again, choosing a plan that works for you by experimenting during training is essential. During: Fueling On the Go. Again, individual, individual, individual and experiment, experiment, experiment! During cooler months, I alternate between water and a cornstarch energy drink every mile with eating anything from an energy chew (my favorite is Cliff shots) to half a banana every third mile. I also like a caffeine energy strip before race time and then at every hour mark. This is my general framework which I tweak depending on weather, my speed, and simply how I am feeling. It works for me, but may not work for you. There are so many performance enhancing supplements from gels and chews to caffeine, creatine, beet juice and beta alanine. Bite size pieces of natural foods can also enhance performance and are used by many amateur and professional runners. It is about ﬁnding what works for you. That may be a process that spans several racing seasons. The only hard set advice that I can offer here is to avoid chugging too much water. Not only does it make you bloated, but it can dilute your electrolytes and cause abnormally low sodium levels. This, in turn, can cause muscle weakness, cramping and, in extreme cases, hyponatremia, a life threatening condition. The key is to stay well hydrated well before race day while finding the right amount of liquid that works for you. The other hard and fast rule is to stick with what works and do not experiment on race day. Your training runs are your dress rehearsals. It is the time to ﬁgure out what fuels you most effectively and what triggers discomfort. I wish you all happy, healthy, safe, and energized running!